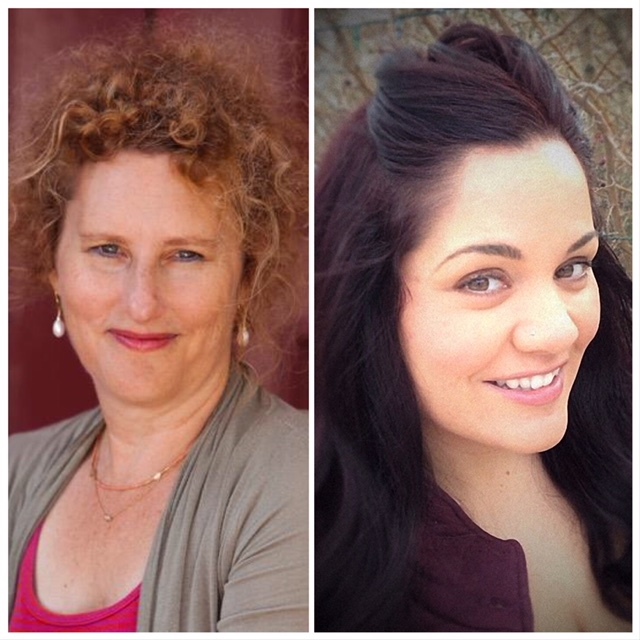 This week’s Poem of the Week is “Prom Queen(s)” by Alicia Elkort and Jennifer Givhan! Alicia Elkort’s poetry has appeared in AGNI, Black Lawrence Press, Califragile, Georgia Review, Heron Tree, Hunger Journal, Jet Fuel Review, Menacing Hedge, Rogue Agent, Stirring: A Literary Collection, Tinderbox Poetry Journal and many others. Alicia’s poems have been nominated for the Orisons Anthology (2016), the Pushcart (2017), and Best of the Net (2018). She lives in California and will go to great lengths for an honest cup of black tea and a cool breeze. Jennifer Givhan, a Mexican-American poet and novelist, has earned an NEA and a PEN/Rosenthal Emerging Voices fellowship. Her books include Landscape with Headless Mama (2015 Pleiades Editors’ Prize), Protection Spell (2016 Miller Williams Poetry Prize Series), Girl with Death Mask (2017 Blue Light Books Prize), Rosa’s Einstein (2019 Camino Del Sol Poetry Series), and two novels, Trinity Sight and Jubilee (Blackstone Publishing). Her honors include the Frost Place Latinx Scholarship, a National Latinx Writers’ Conference Scholarship, the Lascaux Review Poetry Prize, Phoebe Journal’s Greg Grummer Poetry Prize, The Pinch Poetry Prize, the Joy Harjo Poetry Prize 2nd place, and ten Pushcart nominations. Her work has appeared in Best of the Net, Best New Poets, Poetry Daily, Verse Daily, Ploughshares, POETRY, TriQuarterly, Boston Review, AGNI, Crazyhorse, Witness, Southern Humanities Review, Missouri Review, and The Kenyon Review. She lives near the Sleeping Sister volcanoes in New Mexico with her family, and can be found discussing feminist motherhood at jennifergivhan.com, Facebook, & Twitter @JennGivhan. us if they hadn’t been wrapped in their own shame tarps which they gave us, like cherished heirlooms. 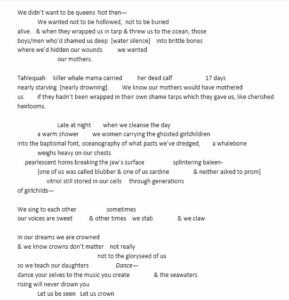 We have spent hours sharing our girlhood/womanhood stories with each other, finding healing, comfort and celebration in the way our stories merge and overlap. One place of convergence is this: neither of us went to our senior prom. When we realized this, we wanted to braid our different experiences. 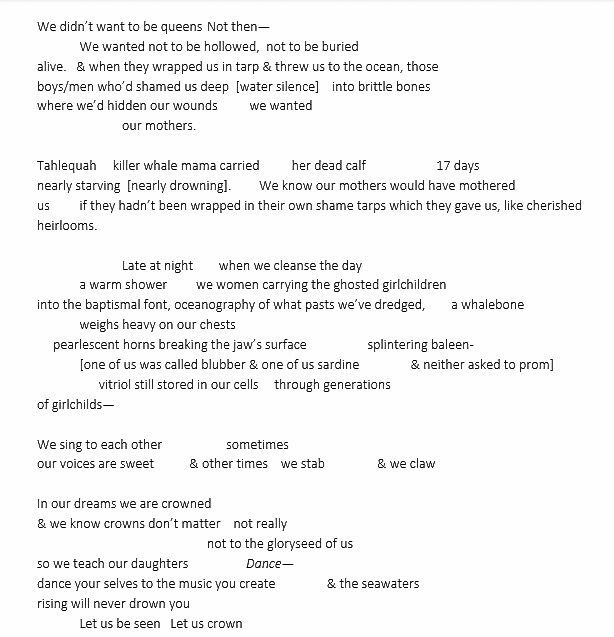 So our poem addresses the various layers of trauma that we have sifted through in our histories—both personal and communal, as survivors—and comes to what always feels like a remarkable and necessary truth in both of our lives, one we need to continue reminding ourselves and each other until it sticks, not just in us but in our daughters, nieces, friends and also the young women we mentor. We women/girls carry within ourselves the glory, the praise, and ultimately the only crown that matters.